Hydestone has a long history and reputation for reliability. Hydestone® specialises in supplying and exporting quality natural stone for building and paving. 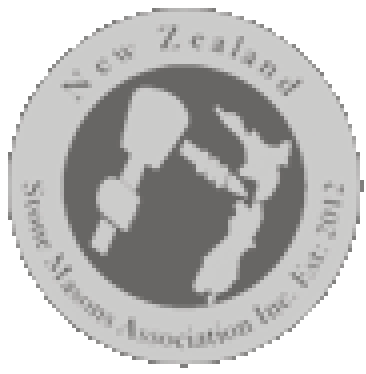 Based in Dunedin, New Zealand, and owned by George Ellis, Hydestone® source schist stone from their quarry in Hyde. This product enables builders and stonemasons to produce high-quality stone for projects including schist walling, paving, landscaping, gates, fences and chimneys. Hydestone is proud to provide a 50-year guarantee on the integrity of their schist stone products. Use of schist rock in construction requires skill, knowledge and experience. Hydestone® is the only company in New Zealand with BRANZ approval for a schist wall cladding. This accreditation is the result of extensive product testing, and development of a building system that encompasses current building regulations. The Hydestone® Schist Wall Cladding System has been distributed nationwide. Hydestone® is the only supplier of Hydestone® products. Hydestone® has no association with Schist Happens, schist.co.nz, or hydestone.com. Schist is a metamorphic rock found abundantly in New Zealand’s South Island and characterised by the layers of minerals that create its distinctive appearance. Robust, but easily split, schist is a practical and decorative construction product that blends beautifully with wood and other building materials. The distinctive layering found in schist is at its very best in this stone. Quartz and mica are present in large quantities, giving the stone a shimmering effect in sunlight. The uniform layering is constant, creating a very elegant statement in walling. Stonemasons claim it to be the best stone on the market today. Rich chocolate, browns, gold, silvers and cream. The presence of quartz, both in runs and large pockets, adds to the rustic appeal of this stone. The beautiful colours found in this stone are a perfect complement to any wood claddings and also work well with plaster homes that require a bold accent (from current site). A natural mix of grey and brown, Hyde Blend offers unique shades and styles that reflect its combination of minerals. Unusual black edge around the exterior face with a blue-grey centre. An excellent architectural stone as it is very uniform and bold. The Dunedin railway station was constructed of basalt stone, and with the help of modern splitting techniques this very interesting effect has been recreated. A good cladding option that works well with landscaped Auckland Bluestone.